We’re really proud to have launched our new weekly show on Flipside radio in Chester. You can listen again to the show by clicking here. The We Are Chester Special airs at 7pm every Thursday and will feature news and views on what’s on in and around Chester, as well as some great music and chat. We’ll also be chatting to a range of people involved in arts and culture in and around our city. In the first all new weekly show, editor Angela Ferguson was joined by Flipside presenter and station manager Matt Poynton. Amongst the good stuff discussed, Angela and Matt shared their thoughts on Tip Top Productions’s last offering, Beautiful Thing, and their forthcoming production of Priscilla, Queen of the Desert. And Matt also exclusively revealed his debut appearance at the Drag Extravaganza fundraiser for Chester Pride, happening at St Mary’s Creative Space on Friday 18 May. Also discussed was the upcoming Storyhouse Women Weekend, a celebration of girls and women which includes talks, workshops and events from a range of organisations. Included in the line up for this event, happening from 27-29 April, will be our editor Angela Ferguson and her fellow Flipside presenters Rama and Parsley. 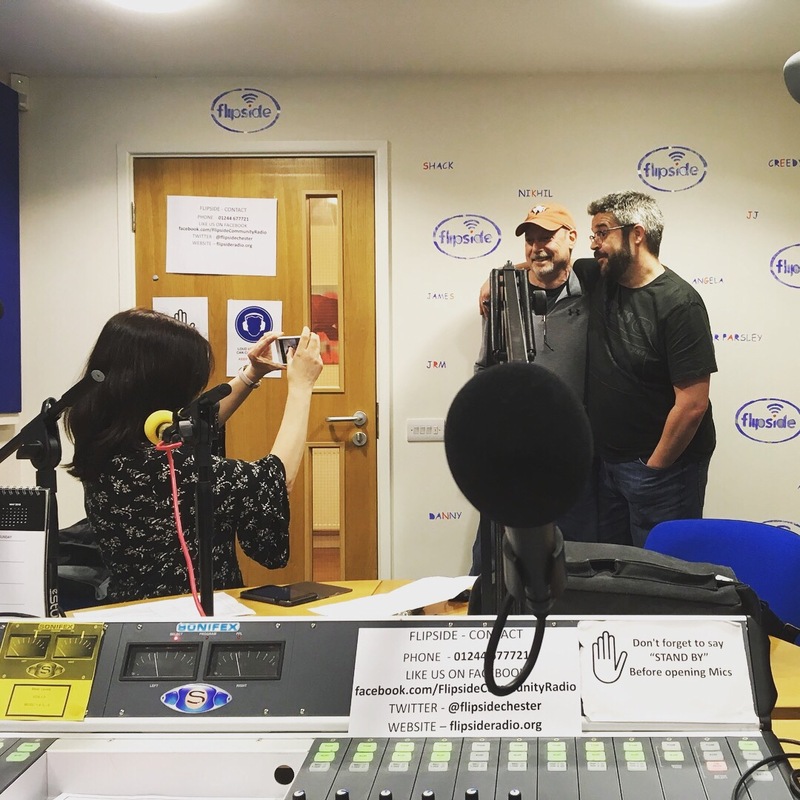 Angela and Matt also chatted about Chester Theatre Club’s latest play, The Prescribed Distance, the Chester Sings concert at Storyhouse on Sunday and the latest on the Chester Mystery Plays, which Angela is involved in. We also got to welcome Flipside listener and guest presenter Memphis Tom, all the way from South Carolina (and Memphis prior to that, hence the name!). Memphis Tom did a one hour special, along with fellow presenter Parsley. Phew! Hope we covered everything there. It’s fair to say that there is a shed load of good stuff happening in and around our city. You can listen to Flipside by going to their website or using the TuneIn app.